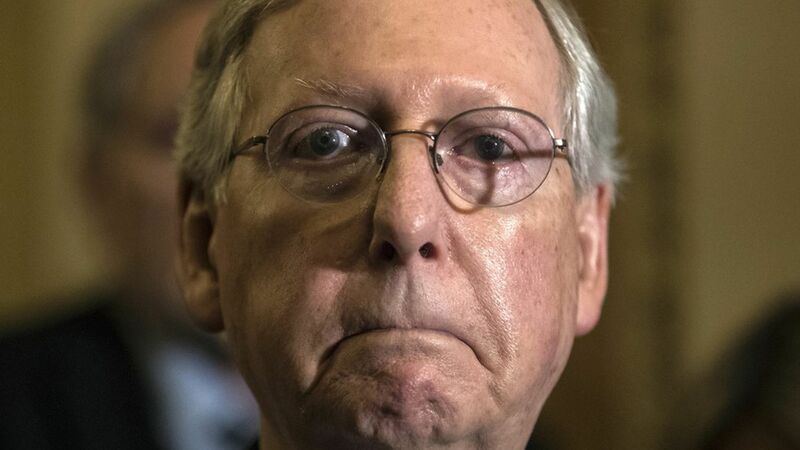 A new poll by left-leaning Public Policy Polling shows Senate Majority Leader Mitch McConnell is deeply unpopular in Kentucky, and the failed health care effort only made things worse. 74 percent of Kentuckians disapprove of McConnell's job performance, while only 18 percent approve. 44 percent said they'd vote for a generic Democrat over McConnell, with only 37 percent saying they'd re-elect him. 50 percent said they'd vote for Rand Paul, the other senator from Kentucky, over a generic Democrat. Only 27 percent of Kentuckians approved of the GOP health care bill. 49 percent said McConnell's support of the health care bill made them less likely to vote for him again. Only 38 percent said the same of Paul. Trend: PPP has previously found that their health care vote hurt GOP Sens. Dean Heller, Jeff Flake, Cory Gardner and Bob Corker.